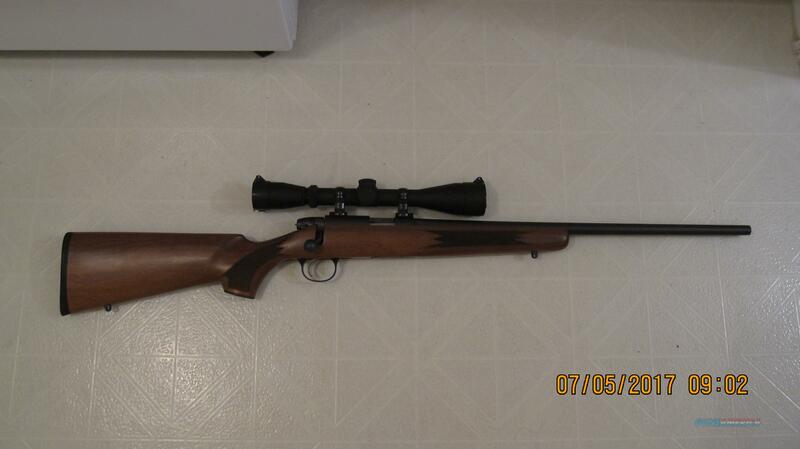 Description: Excellent condition (Like New) Remington Model 504 .22 LR with BSA Sweet 22 3-9x 40mm scope mounted using a pair of Leupold Cross Slot rings made of steel not aluminum. It comes with the original magazine that holds 6 rounds. The satin blue finish is about 99.9%. The scope and rings are like new. The stock is excellent with only minor wear. The rifle does not only looks good but shoots good as well. Don't miss out on this opportunity to own this setup at a very reasonable price. Note that I am not a dealer, therefore, this transaction must go through an FFL dealer for transfer. If you are local, we can meet at a local dealer of your choice. If not, I know a dealer that charges almost nothing for the transfer.